On the run from her abusive husband, Maya Pederson takes refuge with her Aunt Elly on her farm. Her first night there, Maya is wakened by a whisper. "Help me," someone begs. "Don't leave me here." Thus begins a string of nightmarish events in Maya's already stressful life. Disturbing dreams that seem far too real, dreams about the farm's history, dreams about murder and blood and bodies buried under the house. Aunt Elly says Maya is the only person she'll tell her memories to because she trusts her, and she's her only living kin. Can the women triumph over the darkness or will they fall prey to the vengeful thing seeking to destroy them? A Summer with the Dead is a must-read for those who like their fiction dark but not gory, with strong character development and a cathartic release from tension. 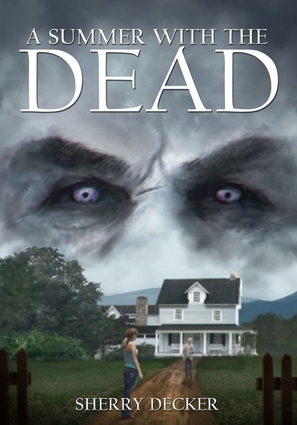 "I absolutely loved Sherry Decker's novel, A Summer With the Dead. It's got everything a great novel needs: wonderful characters, an intriguing plot, perfect settings, mystery, suspense, as well as a few twists. Every horror fan should pick this one up. It's easily one of my favorite books being published this year." —John R. Little, author of Miranda, The Memory Tree, and Ursa Major. Sherry Decker lives in Washington state and has written a collection of short fiction titled, Hook House and Other Horrors and a futuristic earth novel titled Hypershot. Her short fiction has appeared in publications such as Cemetery Dance, Black Gate, Dark Wisdom, and Alfred Hitchcock's Mystery Magazine. Her story "Hicklebickle Rock" won first place in the North Texas Professional Writers Association, and she has been a finalist in various contests, including Writers of the Future and the Pacific Northwest Writers Association genre contest. She also edited and published, Indigenous Fiction: wondrously weird and offbeat from 1997 to 2001.